draw can create top-down diagrams from templates in minutes and shared with anyone who uses PDF, Microsoft Word, Excel or PowerPoint. 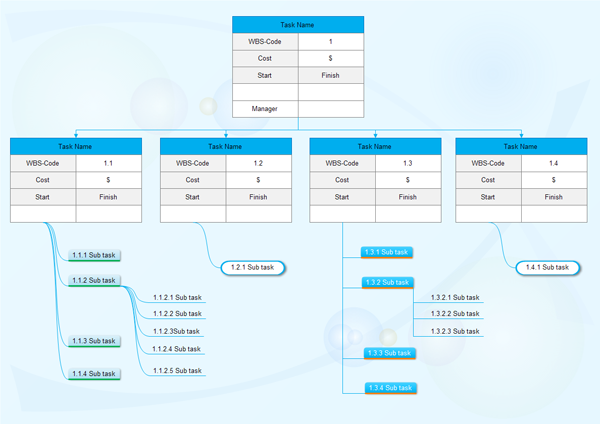 To create a top-down diagram, programs designed specifically for flowchart purpose are particularly well-suited to the task. 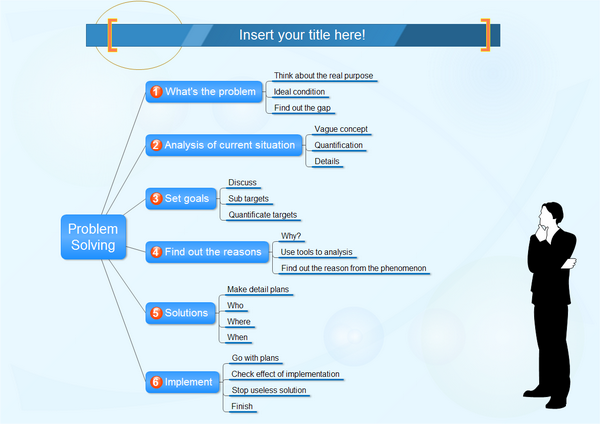 Edraw can create top-down diagrams from templates in minutes and be shared with anyone who uses PDF, Microsoft Word, Excel or PowerPoint. A top-down diagram shows the breakdown of a system to its lowest manageable levels. They are used in structured programming to arrange program modules into a tree. Each module is represented by a box, which contains the module's name. 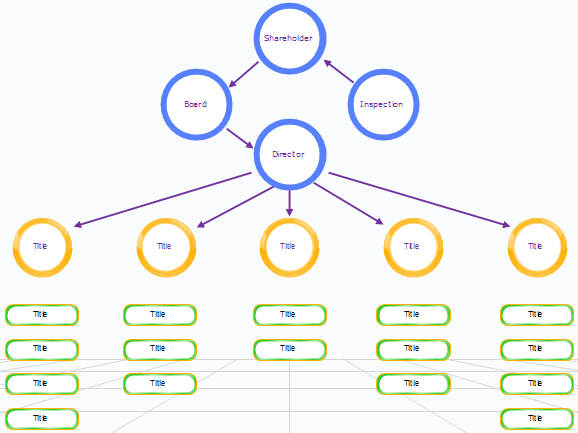 The tree structure visualizes the relationships between modules. A top-down diagram is constructed with squares representing the different modules in the system, and lines that connect them. 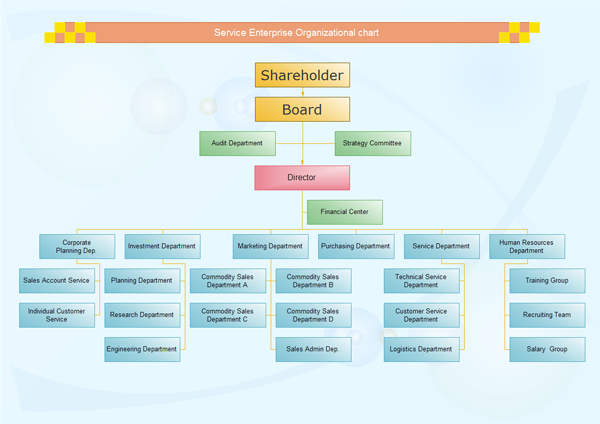 The lines represent the connection or ownership between activities and subactivities as they are used in organization charts, mind maps and WBS diagrams.